In January I had the great pleasure to travel with my brother Tim and with two new friends from Italy, Ester and Giulio. 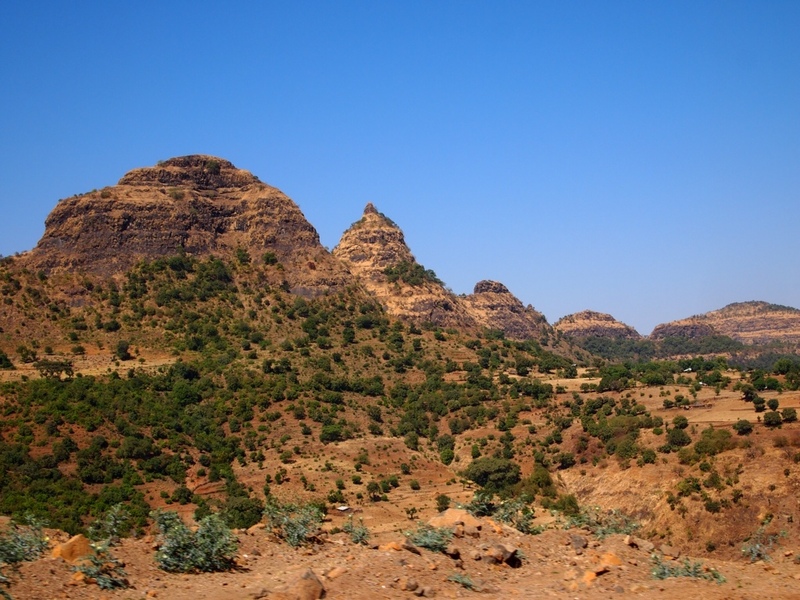 We hired a vehicle to travel from Gonder to Axum through the Simien Mountains. The 350 kilometer journey took the better part of a day. Or, I should say, it was a great part of that day. Had a chance to see some of these places shaped by years of conflict and war. If you wanted you and your family, friends and townsfolk to stay alive, then you fortified your place. No wall, no life. While we're on the idea of traveling, I'm thinking it might be helpful to explain the process of travel by showing you some of the places I've stayed. And more importantly, the view from the window. 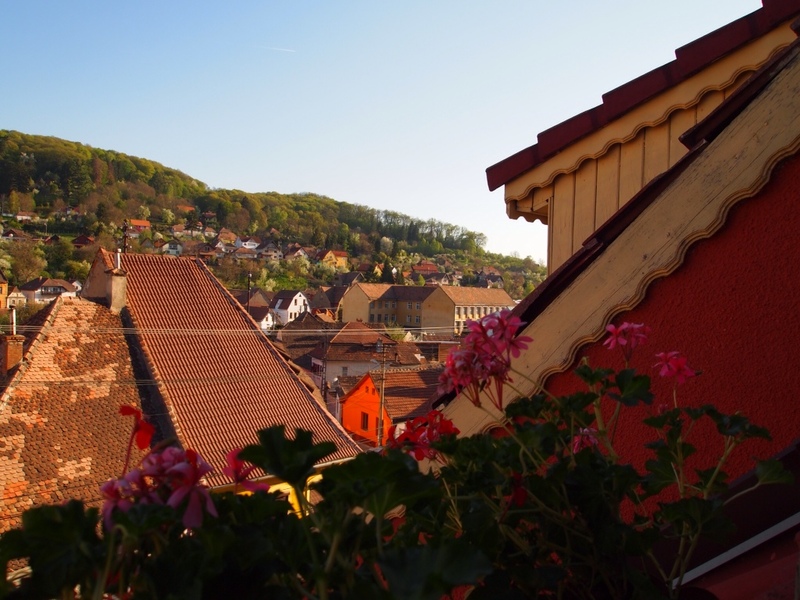 This is what I see from the window of my place today in Sighisoara, Romania. And what follows is a series of photos and thoughts about some of the rooms that were my home from time to time to time. Me too. I never knew what the Carpathians were or are. Turns out the Carpathians are a mountain range poised majestically in the west part of Romania. 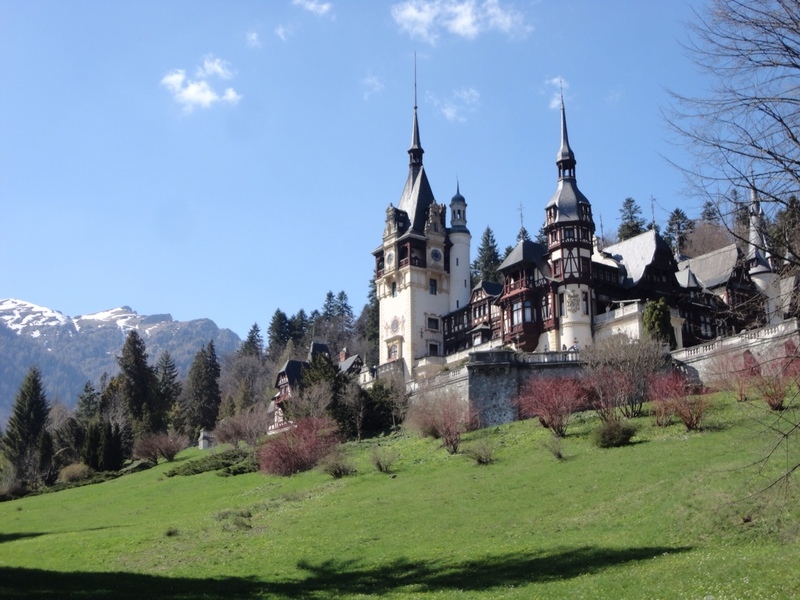 And the royal family of Romania chose these mountains for their summer residence. But they had to build a palace suitable for their well-financed tastes. So this is what they built. It's really not bad for just a summer residence. Considering their main palace was in Bucharest. But for a summer in the woods, it must have done quite well (and cost a fortune). I went there today and this is what I saw. 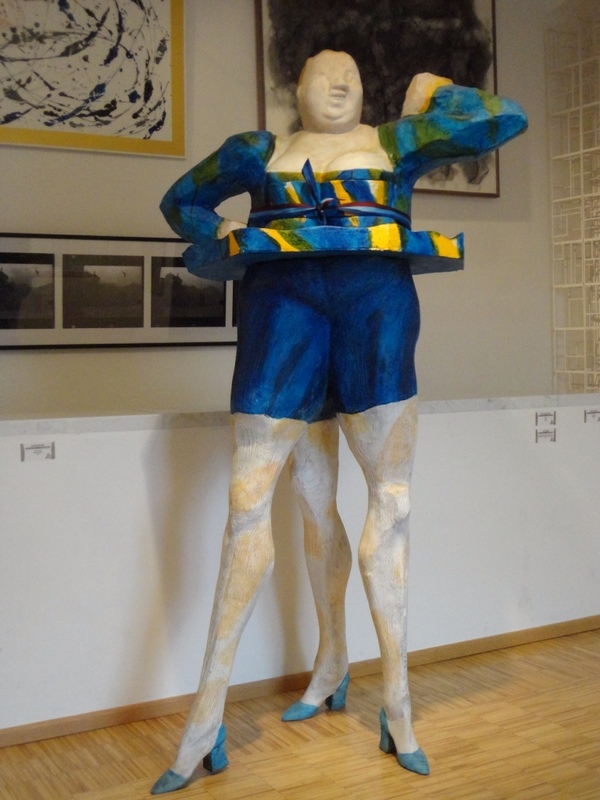 Completely Different.” I wonder if our friends in the Monty Python troupe ever predicted that the phrase they made popular would ever be used to introduce contemporary art from Croatia. For once I'm writing as I travel. Today I took this photo of the world's second largest administrative building. The largest is the Pentagon in Washington D.C. 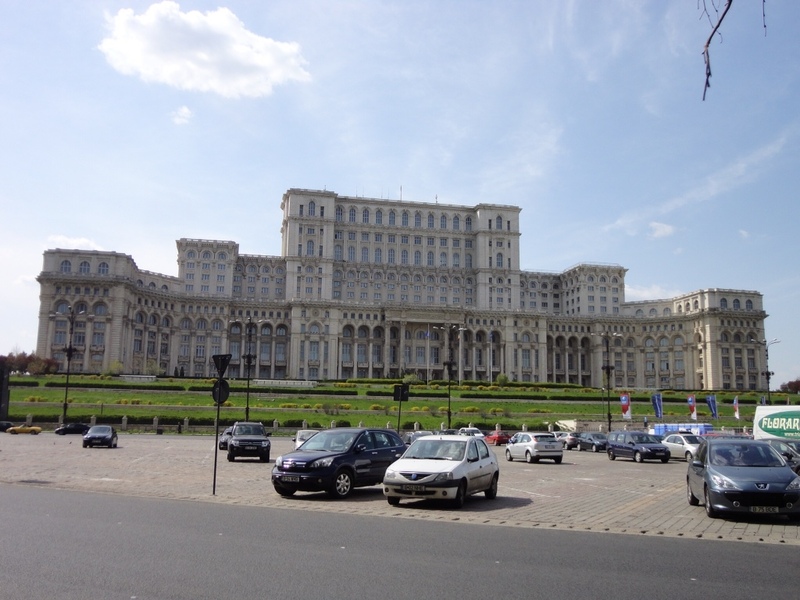 The building you see here is the Palace of Parliament in Bucharest, Romania. It was ordered in 1983 and is still not completed. But it houses the two houses of government and has somewhat endless meeting rooms. It is so large that a good part of its space is empty. The Palace, which covers 82 acres and is 15 stories high (five underground) is the last effigy of the now dead president of Romania, Nicolae Ceausescu. He and his wife Elena (the Prime Minister) were shot by a firing squad immediately after a trial that lasted less than two hours on Christmas Day 1989. 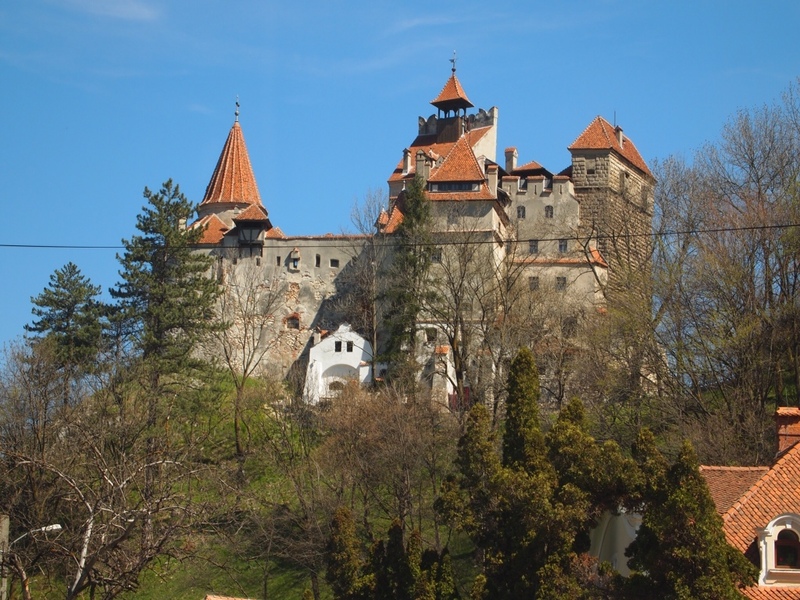 Their story and that of Romania during their “reign” as self-appointed king and queen of Romania is a tough story. 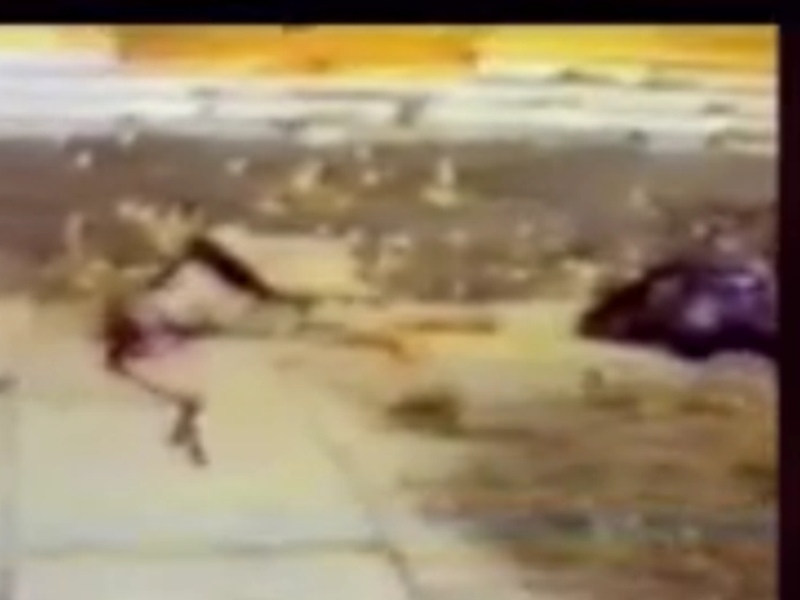 This is a rough photo scooped from YouTube, but it shows the primitive nature of the killing of the President and the Prime Minister.